Valentine's Day is coming up and it’s time to hunt for that romantic treat to perfect the day. 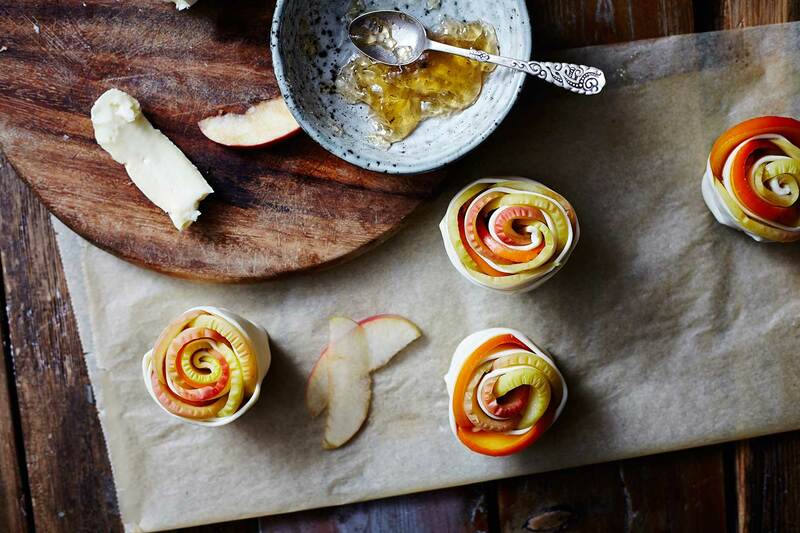 We suggest you simply grab a bottle of Chilled Gewürztraminer and cozy up with these small apple pastry treasures served on a bed of rose petals. Are you serving them for breakfast we recommend a good cup of coffee or Cappucino! 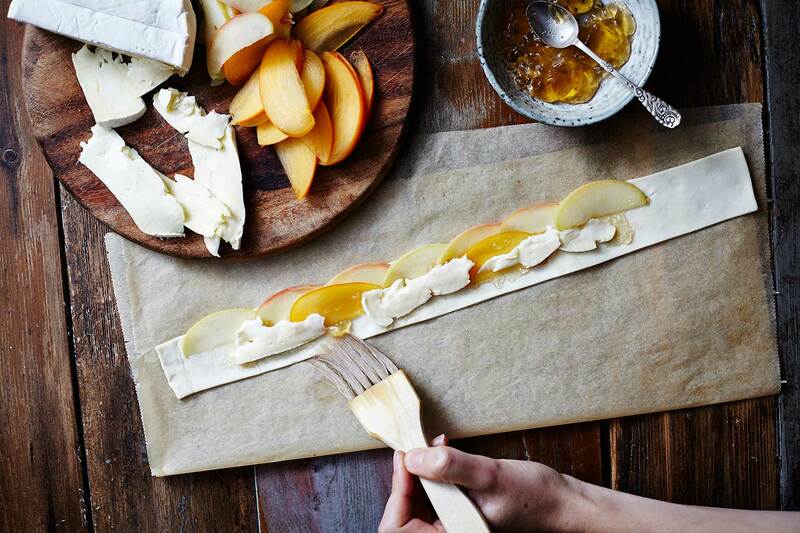 Slice apple and persimmon into very thin wedges. Add the apple slices to the water when it starts to simmer (just below boiling point) and simmer for approx. 4 min. until they are tender and easy to roll. Place them on a cloth to cool. 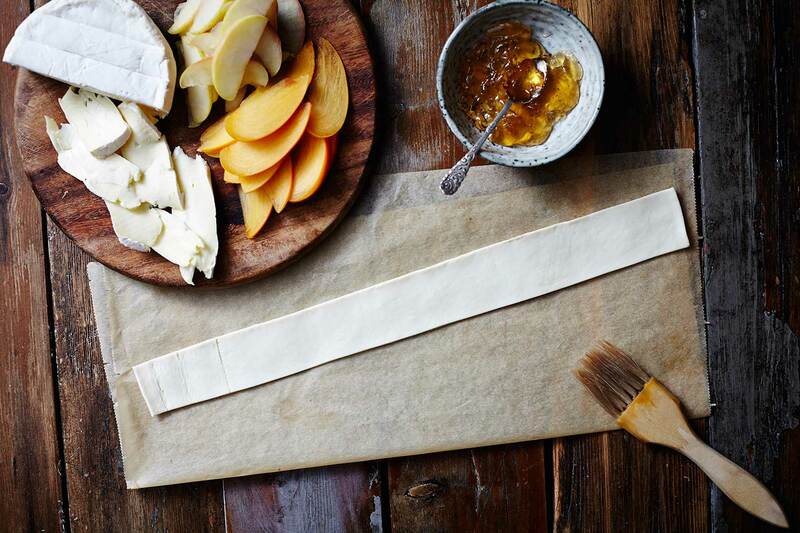 Along the top edge of the dough, place the apple slices so they stick up just above the top, then add a few slices of persimmon, some chestnut beer jelly and cheese. Bake in a muffin tin at 185°C (on the fan oven setting) for approx. 15-20 min. Arrange with rose petals to set the mood! 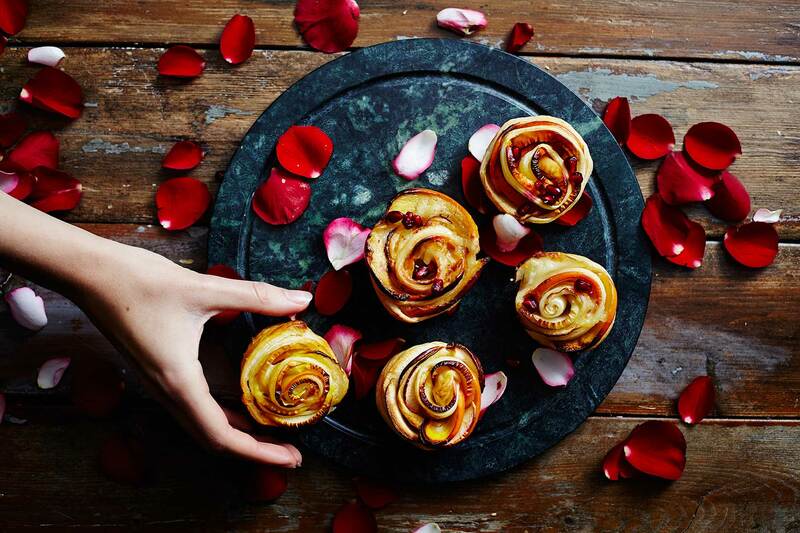 Looking for more inspiration for what to serve on Valentine's Day? 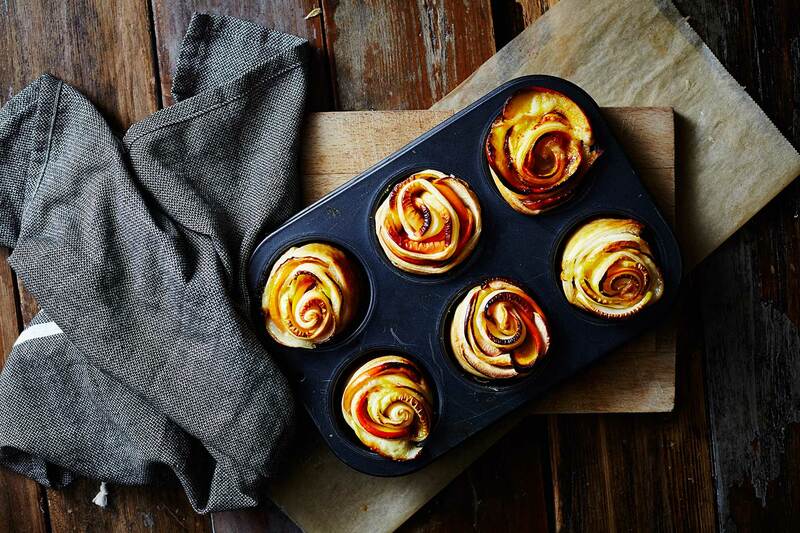 Check out these delicious recipes - perfect for Date Night!